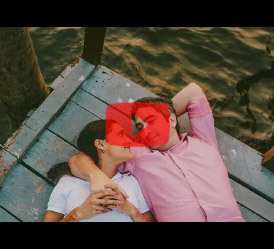 Weddarazzi Films weaves a montage of emotions, love, and community bonhomie with Jaikaran and Roshni's wedding film shot in Connecticut, US. What happens when two families who have known each other for 40 years become relatives through a wedding? 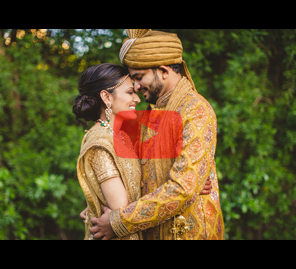 Everything looks like one big, happy party - and that's exactly the vibe one gets when one watches Roshni and Jaikaran's wedding video shot by Weddarazzi Films. The wedding celebrations were held at the Hyatt Regency Greenwich hotel in Connecticut, US. It starts the groom's father explaining how happy the family is with Jaikaran's choice of a bride whose family they have known for forty years. The groom's sister then gives a cheery message on the rooftop of the hotel, demonstrating what a close-knit family they are. The camera captures bride Roshni in all angles in her bridal finery, be it dancing at her reception or getting emotional during the wedding. The beautiful venue was brought to life by the vivid colors and spectacular decor of the wedding. There was a unique baraat entry orchestrated by the family and friends as they performed "All You Need is Love" by Beatles since Jaikaran is a big fan of Beatles. Bringing alive the love, grandeur, and exuberance of a wedding, the film intersperses music and visuals with moving sound bites of the couple and their loved ones. The 'baraat' (groom's procession) was a highlight of the celebrations and a huge surprise for Jaikaran as it included twirling colorful umbrellas, live 'dhol' (Punjabi drums), a stilt dancer, his best friends and cousins, aunts and uncles and parents twisting and shouting, and a lot of love expressed for the groom. The gorgeous architecture at the venue, landscape shots of the surrounding urban environment and the luxurious interiors of the hotel proved to be a wonderful backdrop to the festivities. 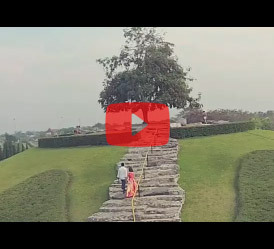 Whether it was the wedding rituals or the dazzling reception party, there was a fairytale essence to this wedding which Weddarazzi Films captured successfully.